When Ravnish Gandhi, then 16, moved from Bombay to Melbourne in 1990 there were only seven or eight Indian restaurants in our fair city, and two of them were owned by his uncles. Ravnish's parents, Jaspal and Arvind, soon opened Bombay by Night in Caulfield South, and Ravnish worked at the highly rated 100-seater until they sold the business in 2015. Along the way, Indian cuisine became a suburban staple, and butter chicken as ubiquitous as pizza. After a stint in India running an online sales business, Ravnish realised he missed Melbourne too much. 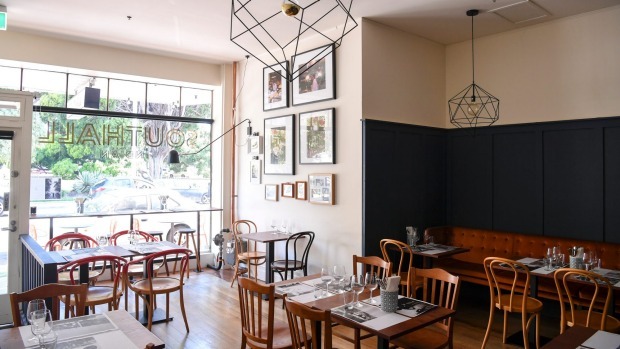 He returned to open small, stylish Southall​ across the road from St Kilda Town Hall, roping in his parents and creating a restaurant that's mistily nostalgic and avowedly contemporary at the same time. The nostalgia is for Ravnish's Bombay childhood: the street snacks (crisp cumin-scented onion fritters), the after-school comfort food (scrambled paneer with green chilli and tomato) and the dinner party dishes served to visitors in the family's shag-pile-carpeted apartment (outstanding minced lamb topped with okra). 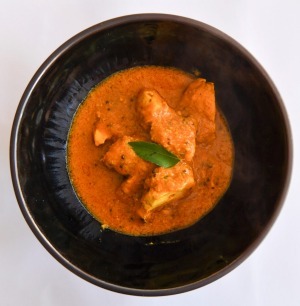 Memories of Southall, London's subcontinental stronghold, visited as a child, are represented in classic Anglo-Indian dishes such as chicken tikka masala and, of course, butter chicken. It would be a brave Indian restaurant that didn't offer creamy, tomato-based boneless butter chicken, kind of like a font library that disdained Comic Sans. It's daggy, sure, but people want it. Southall's version is rich and gently spicy, a good rendition of a tired staple. Order it if you must. 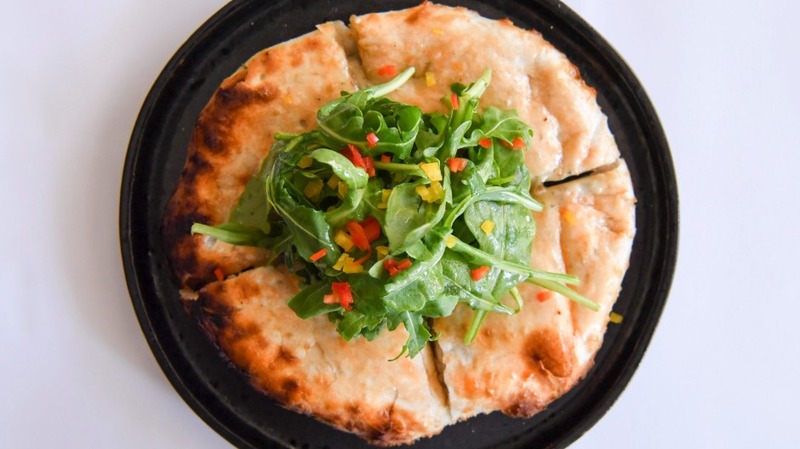 There's even some dishes harking back to 1990s Bombay by Night, most curiously the naan bread with blue cheese and walnuts, topped with a rocket salad and earning a gold medal in the so-wrong-it's-right category. The contemporary push of Southall is a shrugging off of the fantasy of authenticity, an embrace of the mish-mash, an acknowledgement of the reality that there's no fixed canon of Indian cuisine, just an array of tendencies and a countless number of family recipes. As much as Southall's repertoire roams India it's also located firmly in St Kilda, aimed equally at English backpackers, open-minded locals and Indian expats. The common thread is fresh, bright flavours, thanks to a from-scratch approach that lets the ingredients sing. That obsession with freshness is especially heart-gladdening when it comes to the seafood. 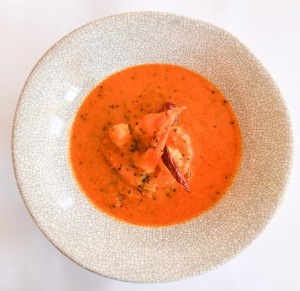 The prawn balti, a stir-fried curry that's better-loved in Birmingham than Bengal, is made with juicy fresh shellfish and fenugreek. The rockling curry – a special they can't seem to take off the menu – is redolent of curry leaves, stained with turmeric and popping with mustard seeds. It's lovely. 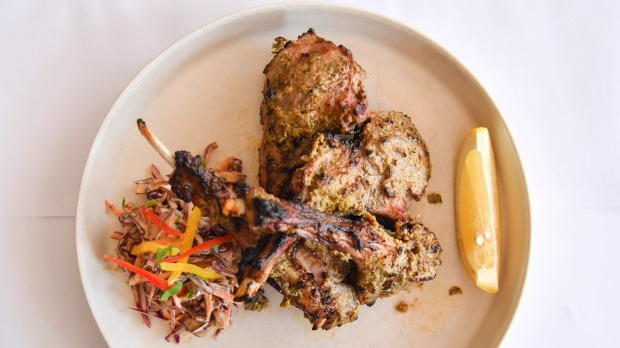 Tandoor-cooked dishes are normally more focused on deep fire flavours than dancing crunch but the tandoori lamb cutlets are just as much about the sunshiny mint and coriander of the marinade, and the crisp slaw that accompanies the tender chops. Melbourne's Indian food has come a long way since 1990 but the sprouting of hundreds of joints with humdrum 100-dish menus is a mid-point, not a culmination. Picking up the narrative and running jauntily onward are places like Southall, offering welcome new spins on a majestic and multifarious cuisine.